Unreal Lawns supply and install artificial grass in Stockport and the north west of England. We serve domestic and commercial customers in the area, with products suitable for a wide range of applications from outdoor spaces and gardens, to event areas, exhibition space and more. See below for some examples of projects we've carried out in the Stockport area. A project in Bredbury, Stockport, Manchester saw the team at Unreal Lawns transform a small muddy back garden into a pleasing, usable lawn area using our luxury artificial grass. Before the transformation the family would have to put their boots on during wet weather just to hang the washing out, with the added stress and danger of then walking the dirt back into the house. Now, with the newly laid artificial grass they can use the area happy in the knowledge that this is how it would stay, with no more mowing and maintenance required …and no more wellington boots! The family were thrilled with the result and you can see for yourself what a difference Unreal Lawns made in the pictures. Unreal Lawns were contacted by a customer in Stockport who wanted the lawn in their rear garden replaced with our artificial grass. They required a low maintenance lawn for the children to play on all year round. Our artificial grass provided the perfect solution. The new lawn is neat and green and will remain this way. The customer was delighted with the work, and feel it makes their garden look much bigger. Unreal Lawns visited this lovely little garden in Stockport to install our artificial grass in place of their small lawn. The previous lawn had become very worn out and patchy, and the owners were fed up of trying to maintain it. We installed our Supreme 38mm artificial grass to transform the lawn. The result is a neat, tidy and green lawn that will remain this way all year round with no maintenance required. Needless to say the customer was over the moon. 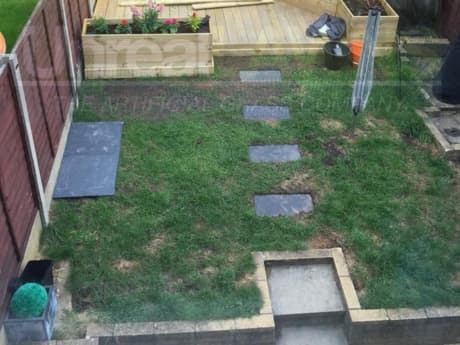 We were contacted by homeowners in Stockport to transform their unusable garden. Their lawn was holding a lot of water and was in a boggy state for most of the year, leaving their children without a garden to enjoy. The Unreal Lawns team were able to transform this garden into a space the children can now run safely around in without treading mud back through the house when they’re done. We prepared the area, making the necessary provisions to help drain water, before installing our Luxury 35mm artificial grass. 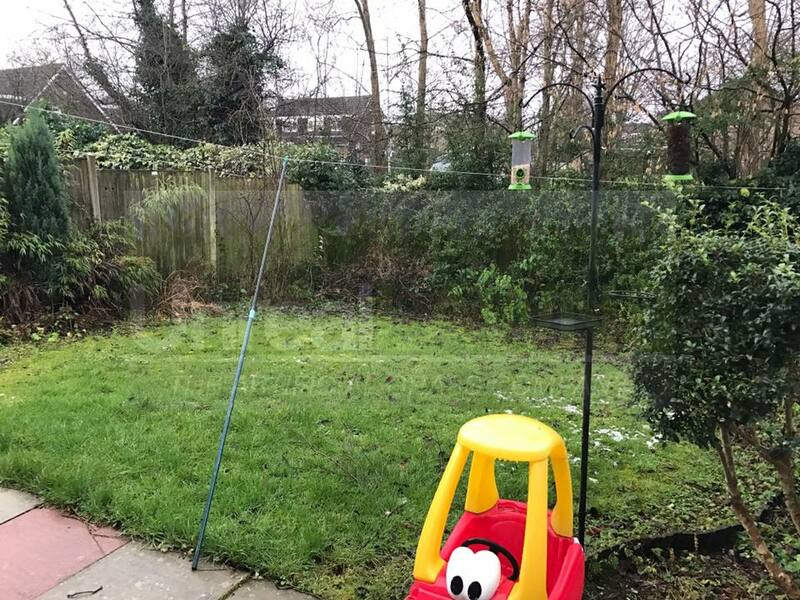 The installation took just 2 days with minimal disruption and the happy homeowners have been left with a clean and tidy outdoor area that can be used all year round. Their neighbours were so impressed they’ve had an artificial lawn installed by Unreal Lawn too! There’s no need to be green with envy – contact us today! 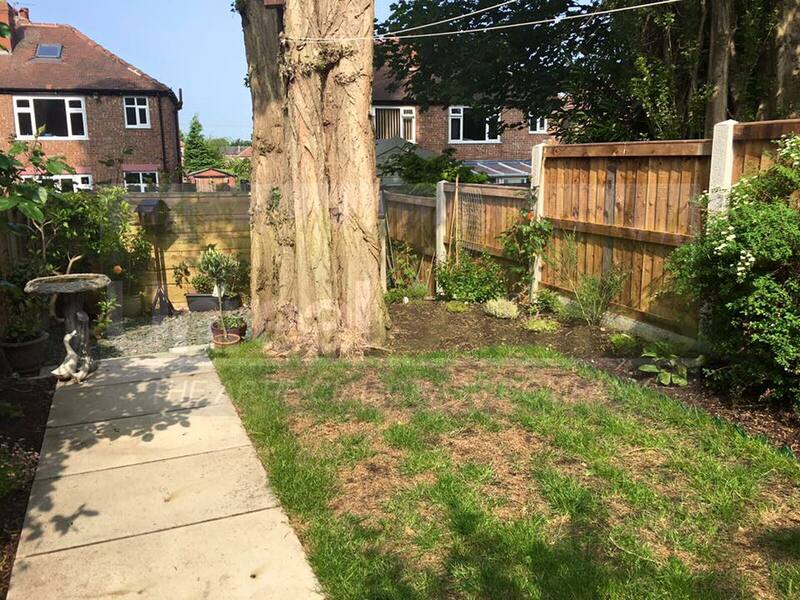 Unreal Lawns were contacted by this Stockport homeowner to transform their patchy lawn into a luscious green space that can be used all year round. 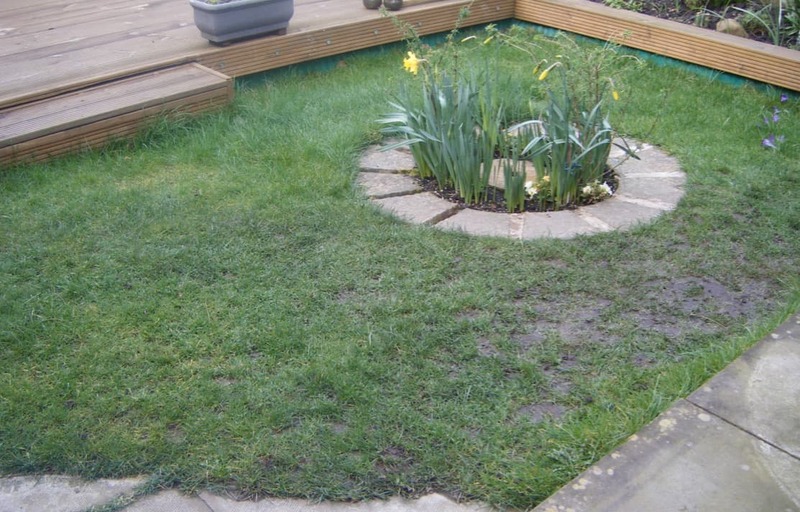 The existing grass lawn was full of burn marks from the family pet and had stepping stones in place for wetter months to prevent muddy footprints into the house. We installed our Supreme 40mm artificial grass to a raised lawn bed set in a stone frame that leads up to a decked area. 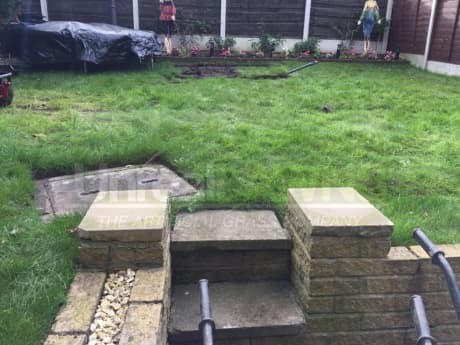 Our installation team were able to turn this garden around in a single day, leaving this homeowner and their pet with a resilient new fake lawn that won’t go patchy from burn marks and will stop those muddy paw prints.